This complete emergency back-up power kit includes everything you need in the event of power outages or for your portable power needs. This compact system delivers up to 1800 Watt of AC power across 4 outlets and is perfect for camping, picnics, and boat, RV’s or to ensure you will always have power supply to your home or RV. 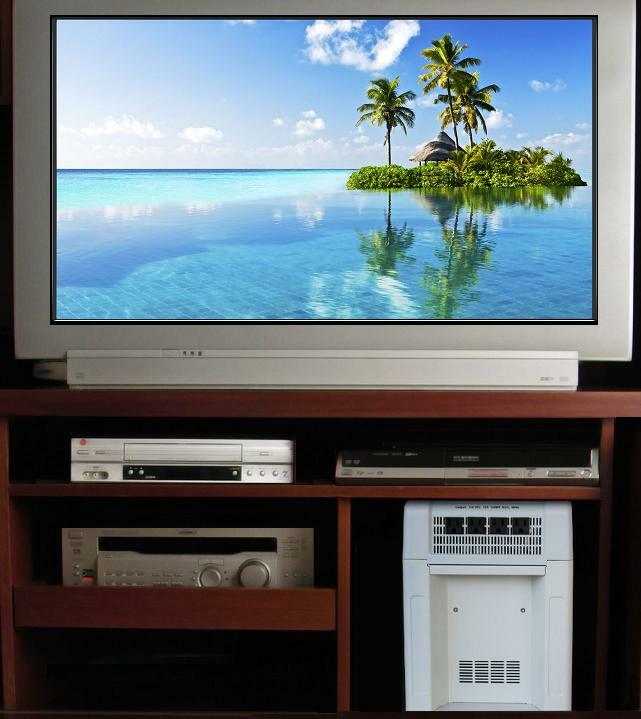 You can even plug in the power supply to your home's electricity to ensure uninterrupted power to your plug-in devices the internal transfer switch automatically detects when your home's electricity has stopped and begins utilizing its stored energy. 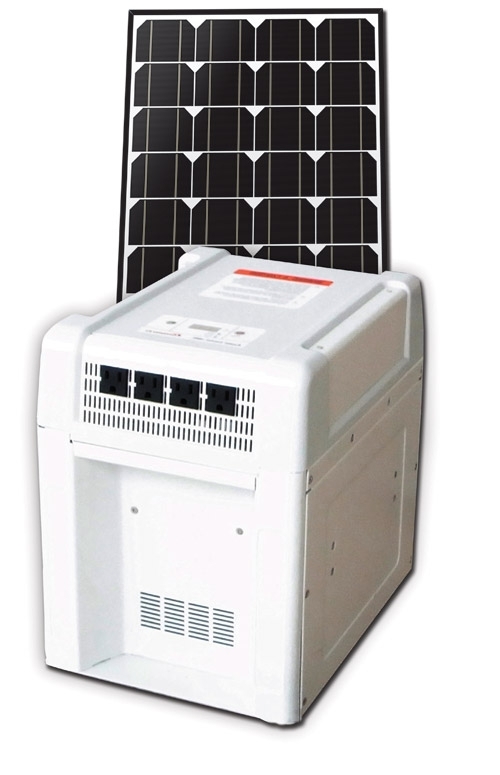 This system 40-watt solar panel uses the sun’s energy while the 60Ah battery stores this energy until you are ready to use it. With the included 50 feet of cabling offers you flexibility in the placement of the solar panel so you can put it in the perfect position to receive the maximum amount of sun during the day. 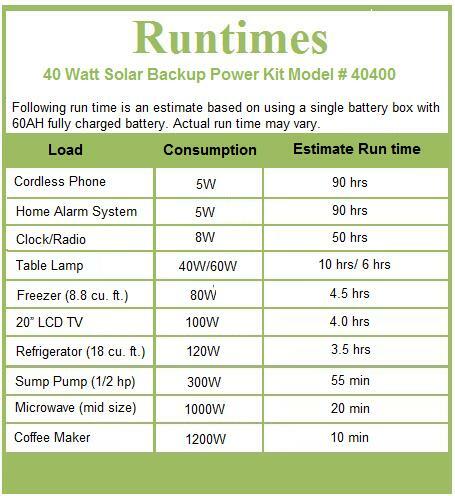 This solar back-up power kit is modular and can be expanded to allow as many auxiliary batteries as needed up to 130-watt from a solar array per auxiliary battery.